In lithostratigraphy rock units are considered in terms of the lithological characteristics of the strata and their relative stratigraphic positions. The relative stratigraphic positions of rock units can be determined by considering geometric and physical relationships that indicate which beds are older and which ones are younger. The units can be classified into a hierarchical system of members, formations and groups that provide a basis for categorising and describing rocks in lithostratigraphic terms. Provided the rocks are the right way up the beds higher in the stratigraphic sequence of deposits will be younger than the lower beds. This rule can be simply applied to a layer-cake stratigraphy but must be applied with care in circumstances where there is a significant depositional topography (e.g. fore-reef deposits may be lower than reef-crest rocks). An unconformity is a break in sedimentation and where there is erosion of the underlying strata this provides a clear relationship in which the beds below the unconformity are clearly older than those above it. All rocks which lie above the unconformity, or a surface that can be correlated with it, must be younger than those below. 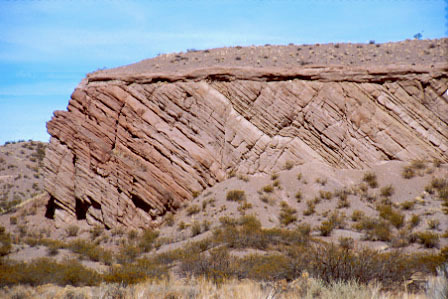 In cases where strata have been deformed and partly eroded prior to deposition of the younger beds, an angular unconformity is formed. A disconformity marks a break in sedimentation and some erosion, but without any deformation of the underlying strata. Any unit that has boundaries that cut across other strata must be younger than the rocks it cuts. This is most commonly seen with intrusive bodies such as batholiths on a larger scale and dykes on a smaller scale. This relationship is also seen in fissure fills, sedimentary dykes that form by younger sediments filling a crack or chasm in older rocks. The fragments in a clastic rock must be made up of a rock that is older than the strata in which they are found. The same relationship holds true for igneous rocks that contain pieces of the surrounding country rock as xenoliths (literally 'foreign rocks'). This relationship can be useful in determining the age relationship between rock units that are some distance apart. Pebbles of a characteristic lithology can provide conclusive evidence that the source rock type was being eroded by the time a later unit was being deposited tens or hundreds of kilometres away. The folding and faulting of strata during mountain building can rotate whole successions of beds (formed as horizontal or nearly horizontal layers) through any angle, resulting in beds that may be vertical or completely overturned. In any analysis of deformed strata, it is essential to know the direction of younging, that is, the direction through the layers towards younger rocks. The direction of younging can be determined by small-scale features that indicate the way-up of the beds or by using other stratigraphic techniques to determine the order of formation. There is a hierarchical framework of terms used for lithostratigraphic units, and from largest to smallest these are: 'Supergroup', 'Group', 'Formation', 'Member' and 'Bed'. The basic unit of lithostratigraphic division of rocks is the formation, which is a body of material that can be identified by its lithological characteristics and by its stratigraphic position. It must be traceable laterally, that is, it must be mappable at the surface or in the subsurface. A formation should have some degree of lithological homogeneity and its defining characteristics may include mineralogical composition, texture, primary sedimentary structures and fossil content in addition to the lithological composition. Note that the material does not necessarily have to be lithified and that all the discussion of terminology and stratigraphic relationships applies equally to unconsolidated sediment. A formation is not defined in terms of its age either by isotopic dating or in terms of biostratigraphy. Information about the fossil content of a mapping unit is useful in the description of a formation but the detailed taxonomy of the fossils that may define the relative age in biostratigraphic terms does not form part of the definition of a lithostratigraphic unit. A formation may be, and often is, a diachronous unit, that is, a deposit with the same lithological properties that was formed at different times in different places. 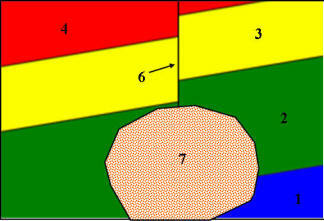 A formation may be divided into smaller units in order to provide more detail of the distribution of lithologies. The term member is used for rock units that have limited lateral extent and are consistently related to a particular formation (or, rarely, more than one formation). An example would be a formation composed mainly of sandstone but which included beds of conglomerate in some parts of the area of outcrop. A number of members may be defined within a formation (or none at all) and the formation does not have to be completely subdivided in this way: some parts of a formation may not have a member status. Individual beds or sets of beds may be named if they are very distinctive by virtue of their lithology or fossil content. These beds may have economic significance or be useful in correlation because of their easily recognisable characteristics across an area. Where two or more formations are found associated with each other and share certain characteristics they are considered to form a group. Groups are commonly bound by unconformities which can be traced basin-wide. Unconformities that can be identified as major divisions in the stratigraphy over the area of a continent are sometimes considered to be the bounding surfaces of associations of two or more groups known as a supergroup. The formation is the fundamental lithostratigraphic unit and it is usual to follow a certain procedure in geological literature when describing a formation to ensure that most of the following issues are considered. Members and groups are usually described in a similar way. The field characteristics of the rock, for example, an oolitic grainstone, interbedded coarse siltstone and claystone, a basaltic lithic tuff, and so on form the first part of the description. Although a formation will normally consist mainly of one lithology, combinations of two or more lithologies will often constitute a formation as interbedded or interfingering units. Sedimentary structures (ripple cross-laminations, normal grading, etc. ), petrography (often determined from thin-section analysis) and fossil content (both body and trace fossils) should also be noted. These are the criteria that are used to distinguish beds of this unit from those of underlying and overlying units; this is most commonly a change in lithology from, say, calcareous mudstone to coral boundstone. Where the boundary is not a sharp change from one formation to another, but is gradational, an arbitrary boundary must be placed within the transition. As an example, if the lower formation consists of mainly mudstone with thin sandstone beds, and the upper is mainly sandstone with subordinate mudstone, the boundary may be placed at the point where sandstone first makes up more than 50% of beds. A common convention is for only the base of a unit to be defined at the type section: the top is taken as the defined position of the base of the overlying unit. This convention is used because at another location there may be beds at the top of the lower unit that are not present at the type locality: these can be simply added to the top without a need for redefining the formation boundaries. A type section is the location where the lithological characteristics are clear and, if possible, where the lower and upper boundaries of the formation can be seen. Sometimes it is necessary for a type section to be composite within a type area, with different sections described from different parts of the area. The type section will normally be presented as a graphic sedimentary log and this will form the strato type. It must be precisely located (grid reference and/or GPS location) to make it possible for any other geologist to visit the type section and see the boundaries and the lithological characteristics described. The thickness is measured in the type section, but variations in the thickness seen at other localities are also noted. The limits of the geographical area over which the unit is recognised should also be determined. There are no formal upper or lower limits to thickness and extent of rock units defined as a formation (or a member or group). The variability of rock types within an area will be the main constraint on the number and thickness of lithostratigraphic units that can be described and defined. Quality and quantity of exposure also play a role, as finer subdivision is possible in areas of good exposure. Where the age for the formation can be determined by fossil content, radiometric dating or relationships with other rock units this may be included, but note that this does not form part of the definition of the formation. 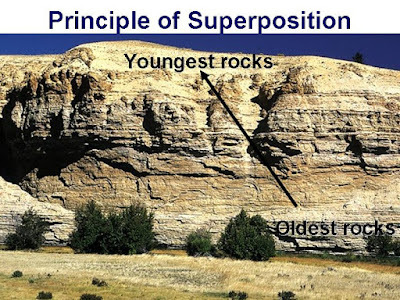 A formation would not be defined as, for example, 'rocks of Burdigalian age', because an interpretation of the fossil content or isotopic dating information is required to determine the age. Information about the facies and interpretation of the environment of deposition might be included but a formation should not be defined in terms of depositional environment, for example, 'lagoonal deposits', as this is an interpretation of the lithological characteristics. It is also useful to comment on the terminology and definitions used by previous workers and how they differ from the usage proposed. It helps to avoid confusion if the definition and naming of stratigraphic units follows a set of rules. Formal codes have been set out in publications such as the 'North American Stratigraphic Code' (North American Commission on Stratigraphic Nomenclature 1983) and the 'International Stratigraphic Guide'. A useful summary of stratigraphic methods, which is rather more user-friendly than the formal documents, is a handbook called 'Stratigraphical Procedure'. The name of the formation, group or member must be taken from a distinct and permanent geographical feature as close as possible to the type section. The lithology is often added to give a complete name such as the Kingston Limestone Formation, but it is not essential, or necessarily desirable if the lithological characteristics are varied. 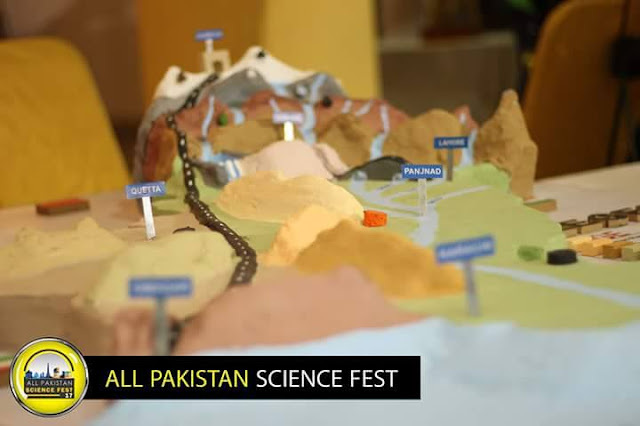 The choice of geographical name should be a feature or place marked on topographic maps such as a river, hill, town or village. The rules for naming members, groups and super groups are essentially the same as for formations, but note that it is not permissible to use a name that is already in use or to use the same name for two different ranks of lithostratigraphic unit. There are some exceptions to these rules of nomenclature that result from historical precedents, and it is less confusing to leave a well established name as it is rather than to dogmatically revise it. Revisions to stratigraphic nomenclature may become necessary when more detailed work is carried out or more information becomes available. New work in an area may allow a formation to be subdivided and the formation may then be elevated to the rank of group and members may become formations in their own right. For the sake of consistency the geographical name is retained when the rank of the unit is changed. 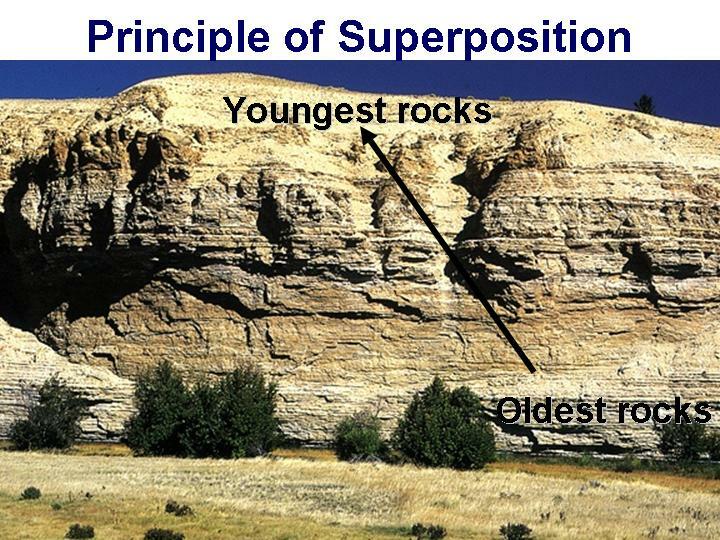 The concepts of division into stratigraphic units were developed for rock bodies that are stratiform, layered units, but many metamorphic, igneous plutonic and structurally deformed rocks are not stratiform and they do not follow the rules of superposition. Nonstratiform bodies of rock are called lithodemic units. The basic unit is the lithodeme and this is equivalent in rank to a formation and is also defined on lithological criteria. The word 'lithodeme' is itself rarely used in the name: the body of rock is normally referred to by its geographical name and lithology, such as the White River Granite or Black Hill Schist. An association of lithodemes that share lithological properties, such as a similar metamorphic grade, is referred to as a suite: the term complex is also used as the equivalent to a group for volcanic or tectonically deformed rocks. There is a wide range of instruments, geophysical logging tools, that are lowered down a borehole to record the physical and chemical properties of the rocks. These instruments are mounted on a device called a sonde that is lowered down the drill hole (on a wireline) once the drill string has been removed. Data from these instruments are recorded at the surface as the sonde passes up through the formations. An alternative technique is to fix a sonde mounted with logging instruments behind the drill bit and record data as drilling proceeds. The tools can be broadly divided into those that are concerned with the petrophysics of the formations, that is, the physical properties of the rocks and the fluids that they contain, and geological tools that provide sedimentological information. The interpretation of all the data is usually referred to as formation evaluation – the determination of the nature and properties of formations in the subsurface. Many of these tools are now used in combinations and provide an integrated output that indicates parameters such as sand:mud ratio, porosity, permeability and hydrocarbon saturation. 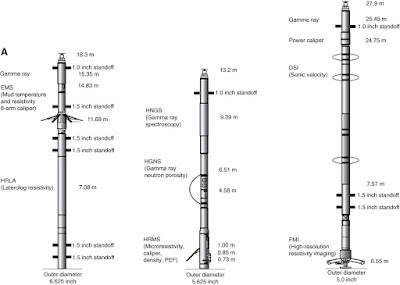 The width of the borehole is initially determined by the size of the drill bit used, but it can vary depending on the nature of the lithology and the permeability of the formation. The borehole wall may cave in where there are less indurated lithologies such as mudrocks, and this can be seen as an anomalously wide interval of the hole. The caliper log can also detect parts of the borehole where the diameter is reduced by the accumulation of a mud cake on the inside: mud cakes are made up of the solid suspension in the drilling mud and form where there is a porous and permeable bed that allows the drilling fluid to penetrate, leaving the mud filtered out on the borehole wall. This records the natural gamma radioactivity in the rocks that comes from the decay of isotopes of potassium, uranium and thorium. The main use of this tool is to distinguish between mudrocks, which generally have a high potassium content and hence high natural radioactivity, and sandstone and limestone, both of which normally have a lower natural radioactivity. The gamma-ray log is often used to determine the ‘sand: shale ratio’ in a clastic succession (note that for petrophysical purposes, all mudrocks are called 'shales'). However, it should be noted that mica, feldspar, glauconite and some heavy minerals are also radioactive, and sandstones rich in any of these cannot always be distinguished from mudstones using this tool. Organic-rich rocks can also be detected with this tool because uranium is often naturally associated with organic matter. Mudrocks with high organic contents are sometimes referred to as 'hot shales' because of their high natural radioactivity. The spectral gamma-ray log records the radioactivity due to potassium, thorium and uranium separately, allowing the signal due to clay minerals to be separated from radioactivity associated with organic matter. Resistivity logging tools are a range of instruments that are used to measure the electrical conductivity of the rocks and their pore fluids by passing an electrical current from one part of the sonde, through the rocks of the borehole wall measuring the current at another part of the sonde. Most minerals are poor conductors, with the exception of clay minerals that have charged ions in their structures. The resistivity measurements provide information about the composition of the pore fluids because hydrocarbons and fresh water are poor electrical conductors but saline groundwater is a good conductor of electricity. Resistivity logging tools are usually configured so that they are able to measure the resistivity at different distances into the formation away from the borehole wall. A microresistivity tool records the properties at the borehole wall, a ‘shallow’ log measures a short distance into the formation and a 'deep' log records the current that has passed through the formation well away from the borehole (these are sometimes called laterologs). Comparison of readings at different distances from the borehole wall can provide an indication of how far the drilling mud has penetrated into the formation and this gives a measure of the formation permeability. Induction logs are resistivity tools that indirectly generate and measure the electrical properties by the process of induction of a current. The velocity of sound waves in the formation is determined by using a tool that comprises a pulsing sound source and receiver microphone that records how long it has taken for the sound to pass through the rock near the borehole. The sonic velocity is dependent upon two factors. First, lithologies composed of high-density material transmit sound faster than low-density rocks: for example, coal is a low-density material, basalt is high-density, and sandstones and limestones have intermediate densities. Second, if the rock is porous, the bulk density of the formation will be reduced, and hence the sonic velocity, so if the lithology is known, the porosity can be calculated, or vice versa. The velocities determined by this tool can be used for depth conversion of seismic reflection profiles. These tools operate by emitting gamma radiation and detecting the proportion of the radiation that returns to detectors on the tool. The amount of radiation returned is proportional to the electron density of the material bombarded and this is in turn proportional to the overall density of the formation. If the lithology is known, the porosity can be calculated as density decreases with increased porosity. The application of this tool is therefore very similar to that of the sonic logging tool. In this instance the tool has a source that emits neutrons and a detector that measures the energy of returning neutrons. Neutrons lose energy by colliding with a particle of similar mass, a hydrogen nucleus, so this logging tool effectively measures the hydrogen concentration of the formation. Hydrogen is mostly present in the pore spaces in the rock filled by formation fluids, oil or water (which have approximately the same hydrogen ion concentration) so the neutron log provides a measure of the porosity of the formation. However, clay minerals contain hydrogen ions as part of the mineral structure, so this tool does not provide a reliable indicator of the porosity in mudrocks or muddy sandstones or limestones. The dielectric properties of the formation fluids are measured with this tool. It consists of microwave transmitters that propagate a pulse of electromagnetic energy through the formation and measures the attenuation of the wave with receivers. The measurements are related to the dielectric constant of the formation, which is in turn determined by the amount of water present. The tool therefore can be used to distinguish between oil and water in porous formations. Conventional porosity determination techniques do not provide information about the size of the pore spaces or how easily the fluid can be removed from those pores. Fluids that are bound to the surface of grains by capillary action cannot easily be removed and are therefore not producible fluids, and if pore spaces are small more fluid will be bound into the formation. The nuclear magnetic resonance (NMR) tool works by producing a strong magnetic field that polarises hydrogen nuclei in water and hydrocarbons. When the field is switched off the hydrogen nuclei relax to their previous state, but the rate at which they do so, the relaxation time, increases if they interact with grain surfaces. Measurement of the electromagnetic 'echo' produced during the relaxation period can thus be used as a measure of how much of the fluid is 'free' and how much of it is close to, and bound on to, grain surfaces. The tool operates by producing a pulsed magnetic field and measuring the echo many times a second. The sonde for this tool has four or six separate devices for measuring the resistivity at the borehole wall. They are arranged around the sonde so that if there is a difference in the resistivity on different sides of the borehole, this will be detected. If the layering in the formations is inclined due to a tectonic tilt or crossstratification it is possible to detect the degree and direction of the tilt by comparing the readings of the different, horizontal resistivity devices. Hence this tool has the potential to measure the sedimentary or tectonic dip of layering. These tools, often called borehole scanners, are also resistivity devices and use a large number of small receiving devices to provide an image of the resistivity of the whole borehole wall. If there are fine-scale contrasts in electrical properties, for instance where there are fine alternations of clay and sand, it is possible to image sedimentary structures as well as fractures in the rock. The images generated superficially resemble a photograph of the borehole wall, but is in fact a ‘map’ of variations in the resistivity. High-resolution measurements of the acoustic properties of the formations in the borehole walls are made by a rotating transmitter that emits an ultrasonic pulse and then records the reflected pulse with a receiver. The main use of this tool is to detect how uneven the borehole wall is, and this can be related to both lithology and the presence of fractures. 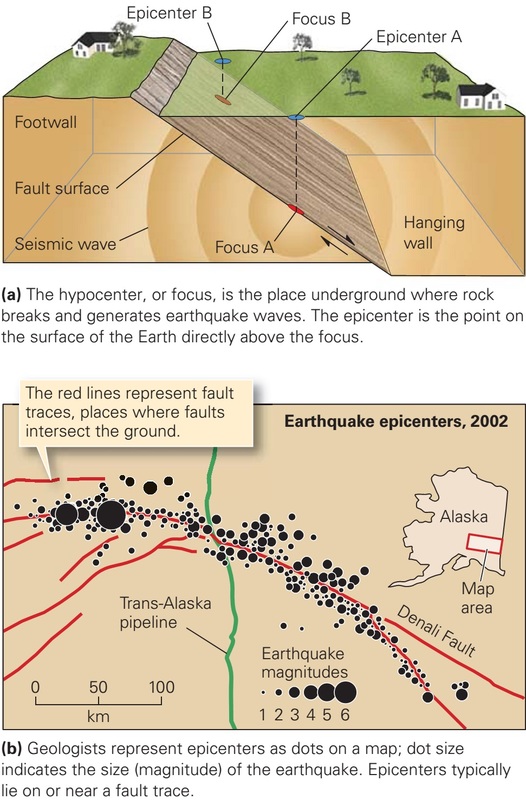 The interpretation of seismic reflection profiles provides a model for the stratigraphic and structural relationships that may exist in the subsurface. Data from these sources can provide some indicators of the lithologies in the subsurface, but a full geological picture can be obtained only by the addition of information on lithology and facies. This can be provided by drilling boreholes through the succession and either taking samples of the rocks and/or using geophysical tools to take detailed measurements of the rock properties. When a borehole is drilled there are a number of ways of collecting information from the subsurface, and these are briefly described below. In the course of drilling a deep borehole, a fluid is pumped down to the drill bit to lubricate it, remove the rock that has been cut (cuttings) and to counteract formation fluid pressures in the subsurface. Due to the weight of rocks above, fluids (water, oil and gas) trapped in porous and permeable strata will be under pressure, and without something to counteract that pressure they would rush to the surface up the borehole. The drilling fluid is therefore usually a ‘mud’, made up of a mixture of water or oil and powdered material, which gives the fluid a higher density: powdered barite (BaSO4) is often used because this mineral has a density of 4.48. The density of the drilling mud is varied to balance the pressure in the formations in the subsurface. The drilling mud is recirculated by being pumped down the inside of the drill string (pipe) and returning up the outside: because it is a dense, viscous fluid, it will bring the cuttings with it as it reaches the surface. The cuttings are filtered from the mud with a sieve and washed to provide a record of the strata that have been drilled. These cuttings are typically 1–5mm in diameter and are sieved out of the drilling mud at the surface. Recording the lithology of these drill chips (mud-logging) provides information about the rock types of the strata that have been penetrated by the borehole, but details such as sedimentary structures are not preserved. Microfossils such as foraminifera, nanofossils and palynomorphs can be recovered from cuttings and used in biostratigraphic analysis. There is usually a degree of mixing of material from different layers as the fluid returns up the borehole, so it is the depth at which a lithology or fossil first appears that is most significant. A drill bit can be designed such that it cuts an annulus of rock away leaving a cylinder in the centre, a core, that can be brought up to the surface. Where coring is being carried out the drilling is halted and the section of core is brought up to the surface in a sleeve inside the hollow drill string. As each section of core is brought to the surface it is placed in a box, which is labelled to show the depth interval it was recovered from. Recovery is often incomplete, with only part of the succession drilled preserved, and the core may be broken up during drilling. The core is then usually cut vertically to provide a smooth-surfaced slab of rock that is typically 90 mm to 150 mm across, depending on the width of the borehole being drilled. Cores cut in this way provide a considerable amount of detail of the lithologies present, the small-scale sedimentary structures, body and trace fossils. 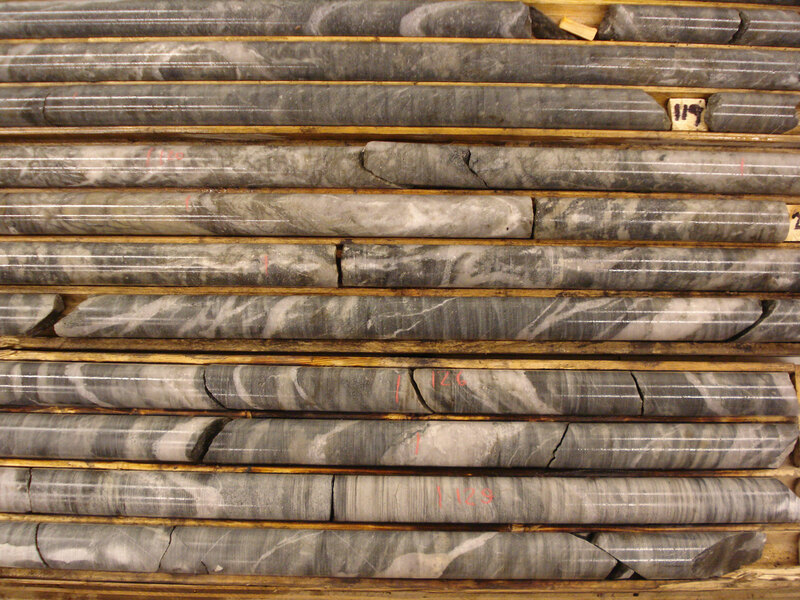 In exploration for oil and gas and in the development of fields for hydrocarbon production, cores are cut through ‘target horizons’, that is, parts of the succession that have been identified from the interpretation of seismic interpretation as likely source rocks, or, more importantly, reservoir bodies. Core is usually only cut and recovered through these parts of the stratigraphy: the rest of the succession has to be interpreted on the basis of geophysical wireline logs. However, continuous cores may be cut through successions that cannot be interpreted satisfactorily using geophysical information alone, as can occur when the properties of the rock units do not allow differentiation between different lithologies using wireline logging tools. In contrast to oil and gas exploration, coal and mineral exploration normally involves taking a complete core through the section drilled. The width of the core that is cut is smaller, often just 40mm, and the core is not split vertically. The small size and the curved surface of the core may make it more difficult to recognise sedimentary structures than in the conventional, larger, split core used in oil and gas exploration, but the continuous core provides good vertical coverage of the drilled succession. The procedure for recording the details of the sedimentary rocks in a core is very similar to making a graphic sedimentary log of a succession exposed in the field. 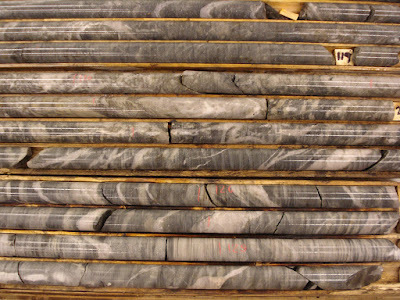 Core logging sheets are similar in format to field logging sheets, and the same types of information are recorded (lithology, bed thickness, bed boundaries, sedimentary structures, biogenic structures, and so on). The scale is usually 1:20 or 1:50. In some ways recording information about strata from core is easier than field description. If the core recovery is good then there will be an almost complete record of the succession, including the finer grained lithologies. Weathering of mudrocks in the field usually means that they are less well preserved than the coarser beds, but in core this tends to be less of a problem, although weaker, finer grained beds will often break up more during the drilling. The main limitations are those imposed by the width of the core. It is not possible to see the lateral geometry of the beds and recognise features such as channels easily, and only parts of larger scale sedimentary structures are preserved. On the other hand, the details of ripple-scale features may be more easily seen on the smooth, cut surface of a core. Palaeocurrent data can be recorded from sedimentary structures only if the orientation of the core has been recorded during the drilling process, and this is not always possible. The other, not insignificant, difference between core and outcrop is that the geologist can carry out the recording of data in the relative comfort of a core store, although it is unlikely to be such an interesting environment to work in as a field location in an exotic place. Not all cores pass through the strata at right angles to the bedding. 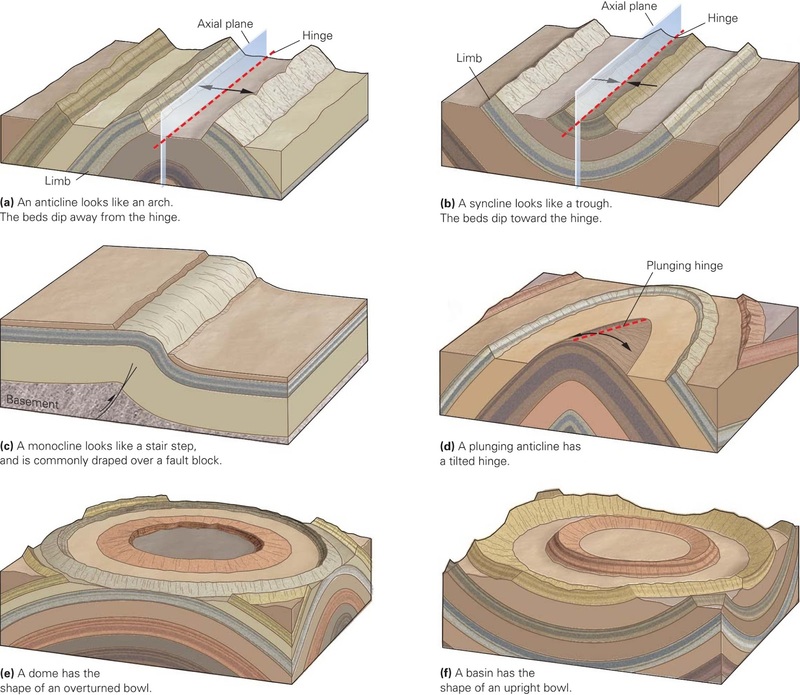 If the strata are tilted then a vertical drill core will cut through the beds at an angle, so all bed boundaries and sedimentary structures observed in the core will be inclined. During the development phase of oil and gas extraction, drilling is often directed along pathways (directional drilling) that can be at any angle, including horizontal. Interpretation of inclined and near-horizontal cores therefore requires information about the angle of the well. No single group of organisms fulfils all the criteria for the ideal zone fossil and a number of different groups of taxa have been used for defining biozones through the stratigraphic record. 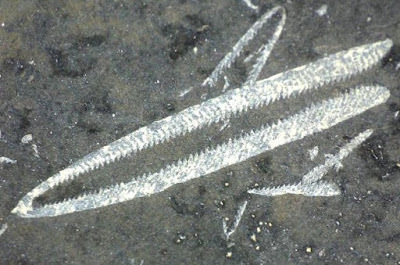 Some, such as the graptolites in the Ordovician and Silurian, are used for worldwide correlation; others are restricted in use to certain facies in a particular succession, for example corals in the Carboniferous of northwest Europe. Some examples of taxonomic groups used in biostratigraphy are outlined below. The hard parts of invertebrates are common in sedimentary rocks deposited in marine environments throughout the Phanerozoic. These fossils formed the basis for the divisions of the stratigraphic column into Systems, Series and Stages in the 18th and 19th centuries. The fossils of organisms such as molluscs, arthropods, echinoderms, etc., are relatively easy to identify in hand specimen, and provide the field geologist with a means for establishing the age of rocks to the right period or possibly epoch. Expert palaeontological analysis of marine macrofossils provides a division of the rocks into stages based on these fossils. These Palaeozoic arthropods are the main group used in the zonation of the Cambrian. 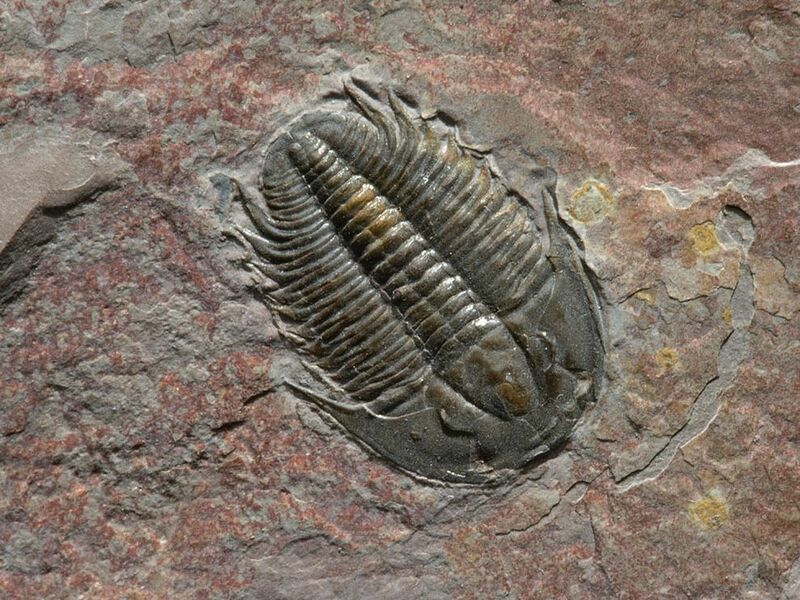 Most trilobites are thought to have been benthic forms living on and in the sediment of shallow marine waters. They show a wide variety of morphologies and appear to have evolved quite rapidly into taxa with distinct and recognisable characteristics. They are only locally abundant as fossils. These exotic and somewhat enigmatic organisms are interpreted as being colonial groups of individuals connected by a skeletal structure. They appear to have had a planktonic habit and are widespread in Ordovician and Silurian mudrocks. Preservation is normally as a thin film of flattened organic material on the bedding planes of fine-grained sedimentary rocks. The shapes of the skeletons and the ‘teeth’ where individuals in the colony were located are distinctive when examined with a hand lens or under a microscope. 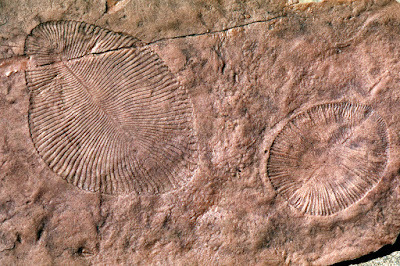 Lineages have been traced which indicate rapid evolution and have allowed a high-resolution biostratigraphy to be developed for the Ordovician and Silurian systems. The main drawback in the use of graptolites is the poor preservation in coarser grained rocks such as sandstones. Shelly, sessile organisms such as brachiopods generally make poor zone fossils but in shallow marine, high-energy environments where graptolites were not preserved, brachiopods are used for regional correlation purposes in Silurian rocks and in later Palaeozoic strata. This taxonomic group of cephalopods (phylum Mollusca) includes goniatites from Palaeozoic rocks as well as the more familiar ammonites of the Mesozoic. The nautiloids are the most closely related living group. The large size and free-swimming habit of these cephalopods made them an excellent group for biostratigraphic purposes. Fossils are widespread, found in many fully marine environments, and they are relatively robust. Morphological changes through time were to the external shape of the organisms and to the ‘suture line’, the relic of the bounding walls between the chambers of the coiled cephalopod. 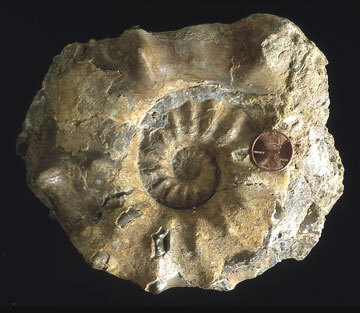 Goniatites have been used in correlation of Devonian and Carboniferous rocks, whereas ammonites and other ammonoids are the main zone fossils in Mesozoic rocks. Ammonoids became extinct at the end of the Cretaceous. These also belong to the Mollusca and as marine ‘snails’ they are abundant as fossils in Cenozoic rocks. They are very common in the deposits of almost all shallow marine environments. Distinctive shapes and ornamentation on the calcareous shells make identification relatively straightforward and there are a wide variety of taxa within this group. This phylum includes crinoids (sea lilies) and echinoids (sea urchins). Most crinoids probably lived attached to substrate and this sessile characteristic makes them rather poor zone fossils, despite their abundance in some Palaeozoic limestones. Echinoids are benthic, living on or in soft sediment: their relatively robust form and subtle but distinctive changes in their morphology have made them useful for regional and worldwide correlation in parts of the Cretaceous. The extensive outcrops of shallow marine limestones in Devonian and Lower Carboniferous (Mississippian) rocks in some parts of the world contain abundant corals. This group is therefore used for zonation and correlation within these strata, despite the fact that they are not generally suitable for biostratigraphic purposes because of the very restricted depositional environments they occur in. Microfossils are taxa that leave fossil remains that are too small to be clearly seen with the naked eye or hand lens. They are normally examined using an optical microscope although some forms can be analysed in detail only using a scanning electron microscope. 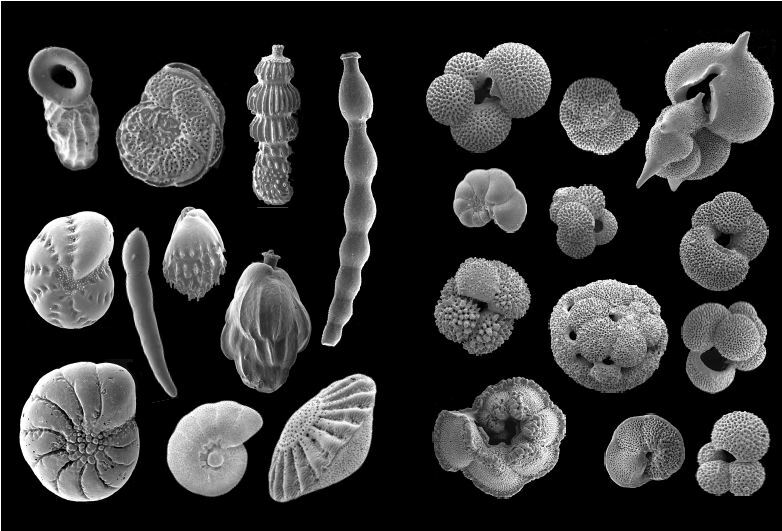 The three main groups that are used in biostratigraphy are the foraminifers, radiolaria and calcareous algae (nanofossils): other microfossils used in biostratigraphy are ostracods, diatoms and conodonts. 'Forams' (the common abbreviation of foraminifers) are single-celled marine organisms that belong to the Protozoa Subkingdom. 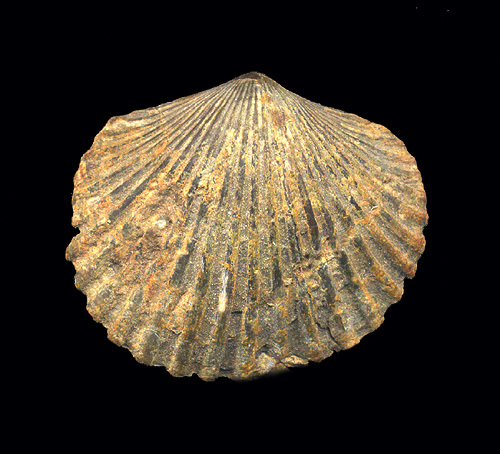 They have been found as fossils in strata as old as the Cambrian, although forms with hard calcareous shells, or ‘tests’, did not become well established until the Devonian. Calcareous forams generally became more abundant through the Phanerozoic and are abundant in many Mesozoic and Cenozoic marine strata. The calcareous tests of planktonic forams are typically a millimetre or less across, although during some periods, particularly the Paleogene, larger benthic forms also occur and can be more than a centimetre in diameter. Planktonic forams make very good zone fossils as they are abundant, widespread in marine strata and appear to have evolved rapidly. Schemes using forams for correlation in the Mesozoic and Cenozoic are widely used in the hydrocarbon industry because microfossils are readily recovered from boreholes and both regional and worldwide zonation schemes are used. These organisms form a subclass of planktonic protozoans and are found as fossils in deep marine strata throughout the Phanerozoic. 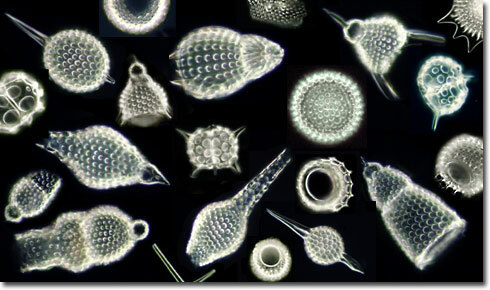 Radiolaria commonly have silica skeletons and are roughly spherical, often spiny organisms less than a millimetre across. They are important in the dating of deep-marine deposits because the skeletons survive in siliceous oozes deposited at depths below the CCD. These deposits are preserved in the stratigraphic record as radiolarian cherts and the fossil assemblages found in them typically contain large numbers of taxa making it possible to use quite high resolution biozonation schemes. Their stratigraphic range is also greater than the forams, making them important for the dating of Palaeozoic strata. Fossils that cannot be seen with the naked eye and are only just discernible using a high-power optical microscope are referred to as nanofossils. They are microns to tens of microns across and are best examined using a scanning electron microscope. The most common nanofossils are coccoliths, the spherical calcareous cysts of marine algae. Coccoliths may occur in huge quantities in some sediments and are the main constituent of some fine-grained limestones such as the Chalk of the Upper Cretaceous in northwest Europe. They are found in fine-grained marine sediments deposited on the shelf or any depths above the CCD below which they are not normally preserved. They are used biostratigraphically in Mesozoic and Cenozoic strata. Ostracods are crustaceans with a two-valve calcareous carapace and their closest relatives are crabs and lobsters. They occur in a very wide range of depositional environments, both freshwater and marine, and they have a long history, although their abundance and distribution are sporadic. Zonation using ostracods is applied only locally in both marine and non-marine environments. Diatoms are chrysophyte algae with a siliceous frustule (skeleton) that can occur in large quantities in both shallow-marine and freshwater settings. The diatom frustules are less than a millimetre across and in some lacustrine settings may make up most of the sediment, forming a diatomite deposit. They are only rarely used in biostratigraphy. Conodonts are somewhat enigmatic tooth like structures made of phosphate and they occur in Palaeozoic strata. Despite uncertainty about the origins, they are useful stratigraphic microfossils in the older Phanerozoic rocks, which generally contain few other microfossils. Acritarchs are microscopic spiny structures made of organic material that occur in Proterozoic and Palaeozoic rocks. Their occurrences in Precambrian strata make them useful as a biostratigraphic tool in rocks of this age. They are of uncertain affinity, although are probably the cysts of planktonic algae, and may therefore be related to dinoflagellates, which are primitive organisms found from the Phanerozoic through to the present day and also produce microscopic cysts (dinocysts). Zonation based on dinoflagellates is locally very important, especially in non-calcareous strata of Mesozoic and Cenozoic ages: the schemes used are generally geographically local and have limited stratigraphic ranges. Correlation in the deposits of continental environments is always more difficult because of the poorer preservation potential of most materials in a subaerial setting. Only the most resistant materials survive to be fossilised in most continental deposits, and these include the organo-phosphates that vertebrate teeth are made of and the coatings of pollen, spores and seeds of plants. Stratigraphic schemes have been set up using the teeth of small mammals and reptiles for correlation of continental deposits of Neogene age. Pollen, spores and seeds (collectively palynomorphs) are much more commonly used. They are made up of organic material that is highly resistant to chemical attack and can be dissolved out of siliceous sedimentary rocks using hydrofluoric acid. Airborne particles such as pollen, spores and some seeds may be widely dispersed and the occurrence of these aeolian palynomorphs within marine strata allows for correlation between marine and continental successions. However, although palynomorphs can be used as zone fossils, they rarely provide such a high resolution as marine fossils. Identification is carried out with an optical microscope or an electron microscope after the palynomorphs have been chemically separated from the host sediment using strong acids. A biostratigraphic unit is a body of rock defined by its fossil content. It is therefore fundamentally different from a lithostratigraphic unit that is defined by the lithological properties of the rock. The fundamental unit of biostratigraphy is the biozone. Biozones are units of stratigraphy that are defined by the zone fossils (usually species or subspecies) that they contain. In theory they are independent of lithology, although environmental factors often have to be taken into consideration in the definition and interpretation of biozones. In the same way that formations in lithostratigraphy must be defined from a type section, there must also be a type section designated as a stratotype and described for each biozone. They are named from the characteristic or common taxon (or occasionally taxa) that defines the biozone. There are several different ways in which biozones can be designated in terms of the zone fossils that they contain. 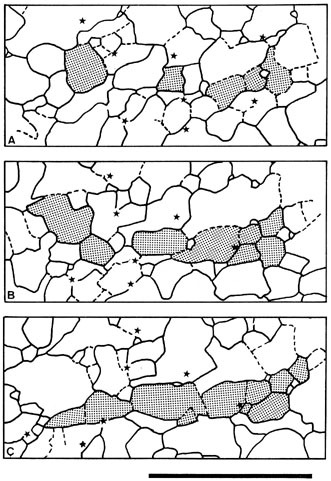 Interval biozones These are defined by the occurrences within a succession of one or two taxa. Where the first appearance and the disappearance of a single taxon is used as the definition, this is referred to as a taxon-range biozone. A second type is a concurrent range biozone, which uses two taxa with overlapping ranges, with the base defined by the appearance of one taxon and the top by the disappearance of the second one. A third possibility is a partial range biozone, which is based on two taxa that do not have overlapping ranges: once again, the base is defined by the appearance of one taxon and the top by the disappearance of a second. Where a taxon can be recognised as having followed another and preceding a third as part of a phyletic lineage the biozone defined by this taxon is called a lineage biozone (also called a consecutive range biozone). Assemblage biozones In this case the biozone is defined by at least three different taxa that may or may not be related. The presence and absence, appearance and disappearance of these taxa are all used to define a stratigraphic interval. Assemblage biozones are used in instances where there are no suitable taxa to define interval biozones and they may represent shorter time periods than those based on one or two taxa. Acme biozones The abundance of a particular taxon may vary through time, in which case an interval containing a statistically high proportion of this taxon may be used to define a biozone. This approach can be unreliable because the relative abundance is due to local environmental factors. The ideal zone fossil would be an organism that lived in all depositional environments all overthe world and was abundant; it would have easily preserved hard parts and would be part of an evolutionary lineage that frequently developed new, distinct species. Not surprisingly, no such fossil taxon has ever existed and the choice of fossils used in biostratigraphy has been determined by a number of factors that are considered in the following sections. The frequency with which new species evolve and replace former species in the same lineage determines the resolution that can be applied in biostratigraphy. Some organisms seem to have hardly evolved at all: the brachiopod Lingula seems to look exactly the same today as the fossils found in Lower Palaeozoic rocks and hence is of little biostratigraphic value. The groups that appear to display the highest rates of speciation are vertebrates, with mammals, reptiles and fish developing new species every 1 to 3 million years on average. 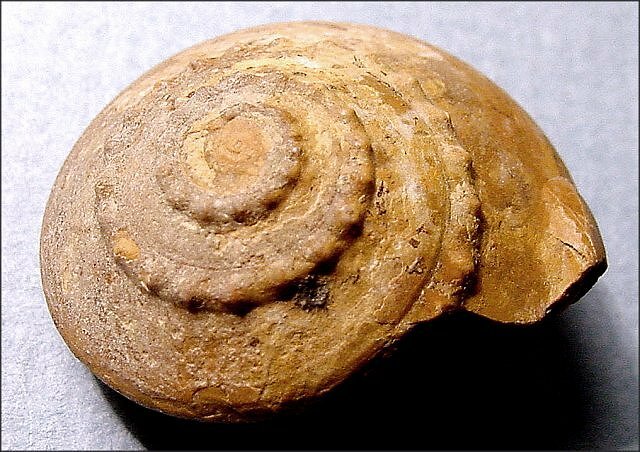 However, the stratigraphic record of vertebrates is poor compared with marine molluscs, which are much more abundant as fossils, but have slower average speciation rates (around 10 million years). There are some groups that appear to have developed new forms regularly and at frequent intervals: new species of ammonites appear to have evolved every million years or so during the Jurassic and Cretaceous and in parts of the Cambrian some trilobite lineages appear to have developed new species at intervals of about a million years. By using more than one species to define them, biozones can commonly be established for time periods of about a million years, with higher resolution possible in certain parts of the stratigraphic record, especially in younger strata. 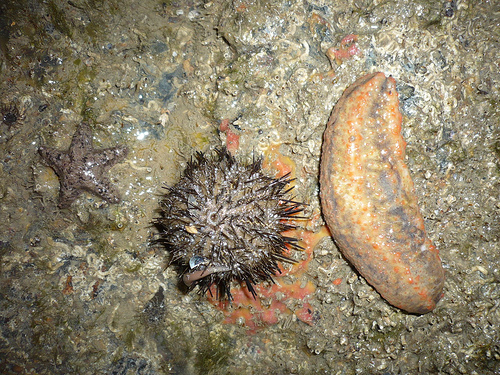 The conditions vary so much between different depositional environments that no single species, genus or family can be expected to live in all of them. The adaptations required to live in a desert compared with a swamp, or a sandy coastline compared with a deep ocean, demand that the organisms that live in these environments are different. There is a strong environmental control on the distribution of taxa today and it is reasonable to assume that the nature of the environment strongly influenced the distribution of fossil groups as well. Some environments are more favourable to the preservation of body fossils than others: for example, preservation potential is lower on a high-energy beach than in a low-energy lagoon. There is a fundamental problem with correlation between continental and marine environments because very few animals or plants are found in both settings. In the marine environment the most widespread organisms are those that are planktonic (free floating) or animals that are nektonic (free-swimming lifestyle). Those that live on the sea bed, the benthonic or benthic creatures and plants, are normally found only in a certain water depth range and are hence not quite so useful. The rates of sedimentation in different depositional environments are also a factor in the preservation and distribution of stratigraphically useful fossils. Slow sedimentation rates commonly result in poor preservation because the remains of organism are left exposed on the land surface or sea floor where they are subject to biogenic degradation. On the other hand, with a slower rate of accumulation in a setting where organic material has a higher chance of preservation (e.g. in an anoxic environment), the higher concentration of fossils resulting from the reduced sediment supply can make the collecting of biostratigraphically useful material easier. It is also more likely that a first or last appearance datum will be identifiable in a single outcrop section because if sediment accumulation rates are high, hundreds of metres of strata may lie within a single biozone. The lifestyle of an organism not only determines its distribution in depositional environments, it also affects the rate at which an organism migrates from one area to another. If a new species evolves in one geographical location its value as a zone fossil in a regional or worldwide sense will depend on how quickly it migrates to occupy ecological niches elsewhere. Again, planktonic and nektonic organisms tend to be most useful in biostratigraphy because they move around relatively quickly. Some benthic organisms have a larval stage that is free-swimming and may therefore be spread around oceans relatively quickly. Organisms that do not move much (a sessile lifestyle) generally make poor fossils for biostratigraphic purposes. Two environments may be almost identical in terms of physical conditions but if they are on opposite sides of the world they may be inhabited by quite different sets of animals and plants. The contrasts are greatest in continental environments where geographical isolation of communities due to tectonic plate movements has resulted in quite different families and orders. The mammal fauna of Australia are a striking example of geographical isolation resulting in the evolution of a group of animals that are quite distinct from animals living in similar environments in Europe or Asia. This geographical isolation of groups of organisms is called provincialism and it also occurs in marine organisms, particularly benthic forms, which cannot easily travel across oceans. Present or past oceans have been sufficiently separate to develop localised communities even though the depositional environments may have been similar. This faunal provincialism makes it necessary to develop different biostratigraphic schemes in different parts of the world. To be useful as a zone fossil a species must be sufficiently abundant to be found readily in sedimentary rocks. It must be possible for the geologist to be able to find representatives of the appropriate taxon without having to spend an undue amount of time looking. There is also a play-off between size and abundance. In general, smaller organisms are more numerous and hence the fossils of small organisms tend to be the most abundant. The problem with very small fossils is that they may be difficult to find and identify. The need for biostratigraphic schemes to be applicable to subsurface data from boreholes has led to an increased use of microfossils, fossils that are too small to be recognised in hand specimen, but which may be abundant and readily identified under the microscope (or electron microscope in some cases). Schemes based on microfossils have been developed in parallel to macrofossil schemes. Although a scheme based on ammonites may work very well in the field, the chances of finding a whole ammonite in the core of a borehole are remote. Microfossils are the only viable material for use in biostratigraphy where drilling does not recover core but only brings up pieces of the lithologies in the drilling mud. It is impossible to determine how many species or individuals have lived on Earth through geological time because very few are ever preserved as fossils. The fossil record represents a very small fraction of the biological history of the planet for a variety of reasons. First, some organisms do not possess the hard parts that can survive burial in sediments: we therefore have no idea how many types of worm may have existed in the past. Sites where there is exceptional preservation of the soft parts of fossils (lagerstatten) provide tantalising clues to the diversity of lifeforms that we know next to nothing about. Second, the depositional environment may not be favourable to the preservation of remains: only the most resistant pieces of bone survive in the dry, oxidising setting of deserts and almost all other material is destroyed. All organisms are part of a food chain and this means that their bodies are normally consumed, either by a predator or a scavenger. Preservation is therefore the exception for most animals and plants. Finally, the stratigraphic record is very incomplete, with only a fraction of the environmental niches that have existed preserved in sedimentary rocks. The low preservation potential severely limits the material available for biostratigraphic purposes, restricting it to those taxa that had hard parts and existed in appropriate depositional environments. The discovery of radioactivity and the radiogenic decay of isotopes in the early part of the 20th century opened the way for dating rocks by an absolute, rather than relative, method. Up to this time estimates of the age of the Earth had been based on assumptions about rates of evolution, rates of deposition, the thermal behaviour of the Earth and the Sun or interpretation of religious scriptures. Radiometric dating uses the decay of isotopes of elements present in minerals as a measure of the age of the rock: to do this, the rate of decay must be known, the proportion of different isotopes present when the mineral formed has to be assumed, and the proportions of different isotopes present today must be measured. This dating method is principally used for determining the age of formation of igneous rocks, including volcanic units that occur within sedimentary strata. It is also possible to use it on authigenic minerals, such as glauconite, in some sedimentary rocks. Radiometric dating of minerals in metamorphic rocks usually indicates the age of the metamorphism. A number of elements have isotopes (forms of the element that have different atomic masses) that are unstable and change by radioactive decay to the isotope of a different element. Each radioactive decay series takes a characteristic length of time known as the radioactive half-life, which is the time taken for half of the original (parent) isotope to decay to the new (daughter) isotope. The decay series of most interest to geologists are those with half-lives of tens, hundreds or thousands of millions of years. If the proportions of parent and daughter isotopes of these decay series can be measured, periods of geological time in millions to thousands of millions of years can be calculated. To calculate the age of a rock it is necessary to know the half-life of the radioactive decay series, the amount of the parent and daughter isotopes present in the rock when it formed, and the present proportions of these isotopes. It must also be assumed that all the daughter isotope measured in the rock today formed as a result of decay of the parent. This may not always be the case because addition or loss of isotopes can occur during weathering, diagenesis and metamorphism and this will lead to errors in the calculation of the age. It is therefore important to try to ensure that decay has taken place in a 'closed system', with no loss or addition of isotopes, by using only unweathered and unaltered material in analyses. The radiometric decay series commonly used in radiometric dating of rocks are detailed in the following sections. The choice of method of determination of the age of the rock is governed by its age and the abundance of the appropriate elements in minerals. The samples of rock collected for radiometric dating are generally quite large (several kilograms) to eliminate inhomogeneities in the rock. The samples are crushed to sand and granule size, thoroughly mixed to homogenise the material and a smaller subsample selected. In cases where particular minerals are to be dated, these are separated from the other minerals by using heavy liquids (liquids with densities similar to that of the minerals) in which some minerals will float and others sink, or magnetic separation using the different magnetic properties of minerals. The mineral concentrate may then be dissolved for isotopic or elemental analysis, except for argon isotope analysis, in which case the mineral grains are heated in a vacuum and the composition of the argon gas driven off is measured directly. Measurement of the concentrations of different isotopes is carried out with a mass spectrometer. In these instruments a small amount (micrograms) of the sample is heated in a vacuum to ionise the isotopes and these charged particles are then accelerated along a tube in a vacuum by a potential difference. Part-way along the tube a magnetic field induced by an electromagnet deflects the charged particles. The amount of deflection will depend upon the atomic mass of the particles so different isotopes are separated by their different masses. 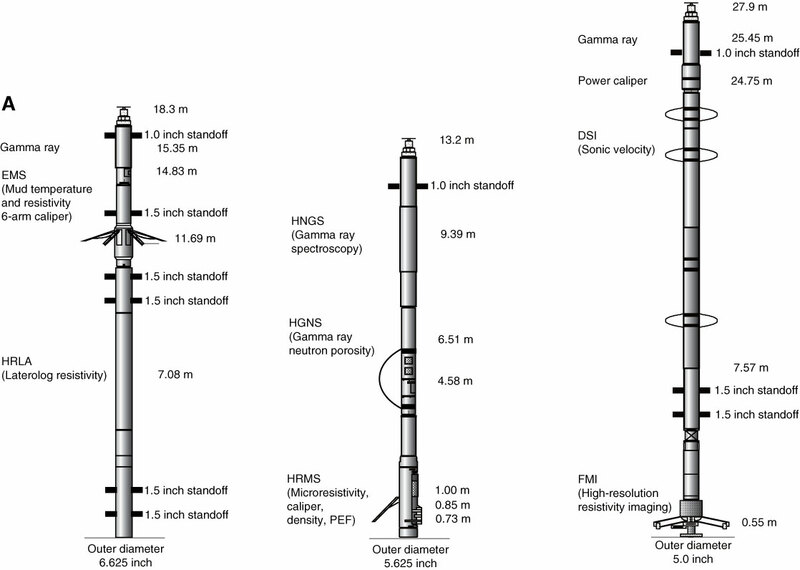 Detectors at the end of the tube record the number of charged particles of a particular atomic mass and provide a ratio of the isotopes present in a sample. This is the most widely used system for radiometric dating of sedimentary strata, because it can be used to date the potassium-rich authigenic mineral glauconite and volcanic rocks (lavas and tuffs) that contain potassium in minerals such as some feldspars and micas. One of the isotopes of potassium, 40 K, decays partly by electron capture (a proton becomes a neutron) to an isotope of the gaseous element argon, 40 Ar, the other product being an isotope of calcium, 40 Ca. The half-life of this decay is 11.93 billion years. Potassium is a very common element in the Earth’s crust and its concentration in rocks is easily measured. However, the proportion of potassium present as 40 K is very small at only 0.012%, and most of this decays to 40 Ca, with only 11% forming 40 Ar. Argon is an inert rare gas and the isotopes of very small quantities of argon can be measured by a mass spectrometer by driving the gas out of the minerals. K–Ar dating has therefore been widely used in dating rocks but there is a significant problem with the method, which is that the daughter isotope can escape from the rock by diffusion because it is a gas. The amount of argon measured is therefore commonly less than the total amount produced by the radioactive decay of potassium. This results in an underestimate of the age of the rock. The problems of argon loss can be overcome by using the argon–argon method. The first step in this technique is the irradiation of the sample by neutron bombardment to form 39 Ar from 39 K occurring in the rock. The ratio of 39 K to 40 K is a known constant so if the amount of 39 Ar produced from 39 K can be measured, this provides an indirect method of calculating the 40 K present in the rock. Measurement of the 39 Ar produced by bombardment is made by mass spectrometer at the same time as measuring the amount of 40 Ar present. Before an age can be calculated from the proportions of 39 Ar and 40 Ar present it is necessary to find out the proportion of 39 K that has been converted to 39 Ar by the neutron bombardment. This can be achieved by bombarding a sample of known age (a 'standard') along with the samples to be measured and comparing the results of the isotope analysis. The principle of the Ar–Ar method is therefore the use of 39 Ar as a proxy for 40 K. Although a more difficult and expensive method, Ar–Ar is now preferred to K–Ar. The effects of alteration can be eliminated by step-heating the sample during determination of the amounts of 39 Ar and 40 Ar present by mass spectrometer. Alteration (and hence 40 Ar loss) occurs at lower temperatures than the original crystallisation so the isotope ratios measured at different temperatures will be different. The sample is heated until there is no change in ratio with increase in temperature (a 'plateau' is reached): this ratio is then used to calculate the age. If no 'plateau' is achieved and the ratio changes with each temperature step the sample is known to be too altered to provide a reliable date. This is a widely used method for dating igneous rocks because the parent element, rubidium, is common as a trace element in many silicate minerals. The isotope 87 Rb decays by shedding an electron (beta decay) to 87 Sr with a half-life of 48 billion years. The proportions of two of the isotopes of strontium, 86 Sr and 87 Sr, are measured and the ratio of 86 Sr to 87 Sr will depend on two factors. First, this ratio will depend on the proportions in the original magma: this will be constant for a particular magma body but will vary between different bodies. Second, the amount of 87 Sr present will vary according to the amount produced by the decay of 87 Rb: this depends on the amount of rubidium present in the rock and the age. The rubidium and strontium concentrations in the rock can be measured by geochemical analytical techniques such as XRF (X-ray fluorescence). Two unknowns remain: the original 86 Sr/87 Sr ratio and the 87 Sr formed by decay of 87 Rb (which provides the information needed to determine the age). The principle of solving simultaneous equations can be used to resolve these two unknowns. If the determination of the ratios of 86 Sr/87 Sr and Rb/Sr is carried out for two different minerals (e.g. orthoclase and muscovite), each will start with different proportions of strontium and rubidium because they are chemically different. An alternative method is whole-rock dating, in which samples from different parts of an igneous body are taken, which, if they have crystallised at different times, will contain different amounts of rubidium and strontium present. This is more straightforward than dating individual minerals as it does not require the separation of these minerals. Isotopes of uranium are all unstable and decay to daughter elements that include thorium, radon and lead. Two decays are important in radiometric dating: 238 U to206 Pb with a half-life of 4.47 billion years and 235 U to 207 Pb with a half-life of 704 million years. The naturally occurring proportions of 238 U and 235 U are constant, with the former the most abundant at 99% and the latter 0.7%. By measuring the proportions of the parent and daughter isotopes in the two decay series it is possible to determine the amount of lead in a mineral produced by radioactive decay and hence calculate the age of the mineral. Trace amounts of uranium are to be found in minerals such as zircon, monazite, sphene and apatite: these occur as accessory minerals in igneous rocks and as heavy minerals in sediments. Dating of zircon grains using uranium–lead dating provides information about provenance of the sediment. Dating of zircons has been used to establish the age of the oldest rocks in the world. Other parts of the uranium decay series are used in dating in the Quaternary. These two rare earth elements in this decay series are normally only present in parts per million in rocks. The parent isotope is 147 Sm and this decays by alpha particle emission to 143 Nd with a half-life of 106 billion years. 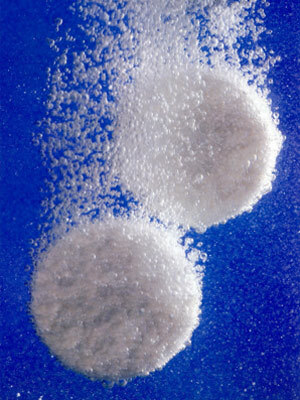 The slow generation of 143 Nd means that this technique is best suited to older rocks as the effects of analytical errors are less significant. The advantage of using this decay series is that the two elements behave almost identically in geochemical reactions and any alteration of the rock is likely to affect the two isotopes to equal degrees. This eliminates some of the problems encountered with Rb–Sr caused by the different reactivity and mobility of the two elements in the decay series. 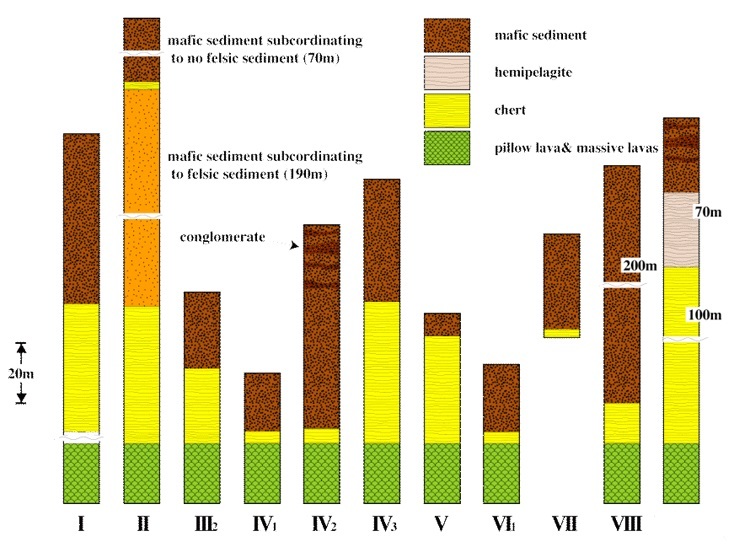 This dating technique has been used on sediments to provide information about the age of the rocks that the sediment was derived from: different provenance areas, for example continental cratons of different ages, can be distinguished by analysis of mud and mudstones. Rhenium occurs in low concentrations in most rocks, but its most abundant naturally occurring isotope 187 Re undergoes beta decay to an isotope of osmium 187 Os with a half-life of 42 Ga. This dating technique has been used mainly on sulphide ore bodies and basalts, but there have also been some successful attempts to date the depositional age of mudrocks with a high organic content. Osmium isotopes in seawater have also been shown to have varied through time. 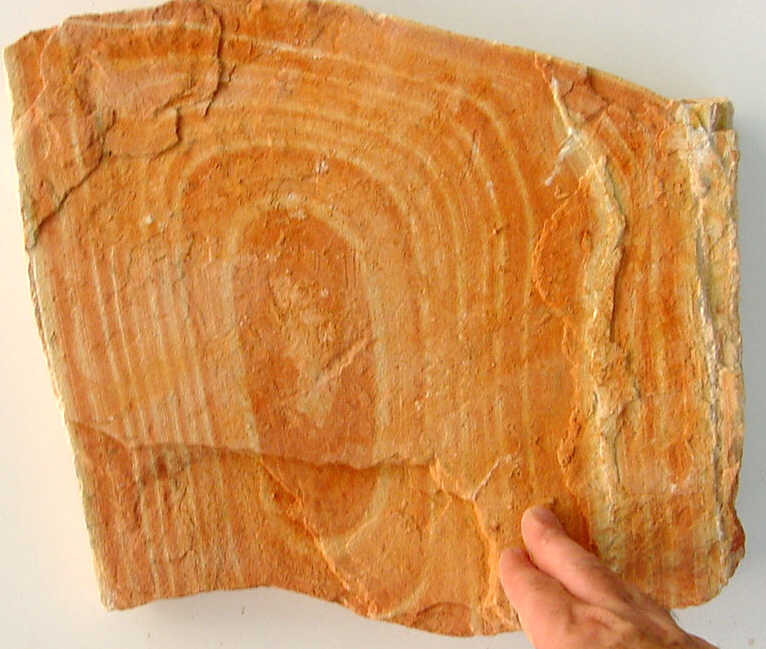 Radiometric dating is the only technique that can provide absolute ages of rocks through the stratigraphic record, but it is limited in application by the types of rocks which can be dated. The age of formation of minerals is determined by this method, so if orthoclase feldspar grains in a sandstone are dated radiometrically, the date obtained would be that of the granite the grains were eroded from. It is therefore not possible to date the formation of rocks made up from detrital grains and this excludes most sandstones, mudrocks and conglomerates. Limestones are formed largely from the remains of organisms with calcium carbonate hard parts, and the minerals aragonite and calcite cannot be dated radiometrically on a geological time scale. Hence almost all sedimentary rocks are excluded from this method of dating and correlation. An exception to this is the mineral glauconite, an authigenic mineral that forms in shallow marine environments: glauconite contains potassium and may be dated by K–Ar or Ar–Ar methods, but the mineral is readily altered and limited in occurrence. The formation of igneous rocks usually can be dated successfully provided that they have not been severely altered or metamorphosed. Intrusive bodies, including dykes and sills, and the products of volcanic activity (lavas and tuff) may be dated and these dates used to constrain the ages of the rocks around them by the laws of stratigraphic relationships. Dates from metamorphic rocks may provide the age of metamorphism, although complications can arise if the degree of metamorphism has not been high enough to reset the radiometric 'clock', or if there have been multiple phases of metamorphism. General stratigraphic relations and isotopic ages are the principal means of correlating intrusive igneous bodies. Geographically separate units of igneous rock can be shown to be part of the same igneous suite or complex by determining the isotopic ages of the rocks at each locality. Radiometric dating can also be very useful for demonstrating correspondence between extrusive igneous bodies. The main drawbacks of correlation by this method are the limited range of lithologies that can be dated and problems of precision of the results, particularly with older rocks. For example, if two lava beds were formed only a million years apart and there is a margin of error in the dating methods of one million years, correlation of a lava bed of unknown affinity to one or the other cannot be certain. A certain amount of modification of the sediment occurs at the sediment–water and sediment–air interfaces: cements formed at this stage are referred to as eogenetic cements and they are essentially synsedimentary, or very soon after deposition. Most chemical changes occur in sediment that is buried and saturated with pore waters, and cements formed at this stage are called mesogenetic. Rarely cement formation occurs during uplift, known as telogenetic cementation. During these diagenetic stages, chemical reactions take place between the grains, the water and ions dissolved in the pore waters: these reactions take place at low temperatures and are generally very slow. They involve dissolution of some mineral grains, the precipitation of new minerals, the recrystallisation of minerals and the replacement of one mineral by another. The processes of grain dissolution are determined by the composition of the grain minerals and the chemistry of the pore waters. Carbonate solubility increases with decreasing temperature and increasing acidity (decreasing pH): the presence of carbon dioxide in solution will increase the acidity of pore waters and leaching of compounds from organic matter may also reduce the pH. It is therefore common for calcareous shelly debris within terrigenous clastic sediment to be dissolved, and if this happens before any lithification occurs then all traces of the fossil may be lost. Dissolution of a fossil after cementation may leave the mould of it, which may either remain as a void or may subsequently be filled by cement to create a cast of the fossil. Silica solubility in water is very low compared with calcium carbonate, so large-scale dissolution of quartz is very uncommon. Silica is, however, more soluble in warmer water and under more alkaline (higher pH) conditions, and opaline silica is more soluble than crystalline quartz. Most quartz dissolution occurs at grain boundaries as a pressure dissolution effect, but the silica released is usually precipitated in adjacent pore spaces. The nucleation and growth of crystals within pore spaces in sediments is the process of cementation. A distinction must be made between matrix, which is fine-grained material deposited with the larger grains, and cements, which are minerals precipitated within pore spaces during diagenesis. A number of different minerals can form cements, the most common being silica, usually as quartz but occasionally as chalcedony, carbonates, typically calcite but aragonite, dolomite and siderite cements are also known, and clay minerals. The type of cement formed in a sediment body depends on the availability of different minerals in pore waters, the temperature and the acidity of the pore waters. Carbonate minerals may precipitate as cements if the temperature rises or the acidity decreases, and silica cementation occurs under increased acidity or cooler conditions. Growth of cement preferentially takes place on a grain of the same composition, so, for example, silica cement more readily forms on a quartz grain than on grains of a different mineral. Where the crystal in the cement grows on an existing grain it creates an overgrowth with the grain and the cement forms a continuous mineral crystal. These are referred to as syntaxial overgrowths. Overgrowths are commonly seen in silica-cemented quartz sands; thin-section examination reveals the shape of a quartz crystal formed around a detrital quartz grain, with the shape of the original grain picked out by a slightly darker rim within the new crystal. In carbonate rocks overgrowths of sparry calcite form over biogenic fragments of organisms such as crinoids and echinoids that are made up of single calcite crystals. Cementation lithifies the sediment into a rock and as it does so it reduces both the porosity and the permeability. The porosity of a rock is the proportion of its volume that is not occupied by solid material but is instead filled with a gas or liquid. Primary porosity is formed at the time of deposition and is made up mainly of the spaces between grains, or interparticle porosity, with some sediments also possessing intraparticle porosity formed by voids within grains, usually within the structures of shelly organisms. Cements form around the edges of grains and grow out into the pore spaces reducing the porosity. Secondary porosity forms after deposition and is a result of diagenetic processes: most commonly this occurs as pore waters selectively dissolve parts of the rock such as shells made of calcium carbonate. Permeability is the ease with which a fluid can pass through a volume of a rock and is only partly related to porosity. 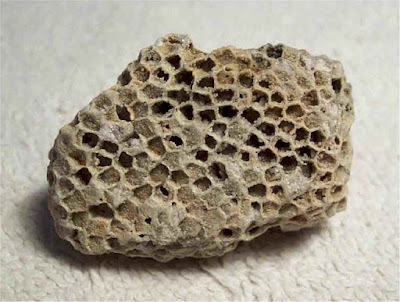 It is possible for a rock to have a high porosity but a low permeability if most of the pore spaces are not connected to each other: this can occur in a porous sandstone which develops a partial cement that blocks the 'throats' between interparticle pore spaces, or a limestone that has porosity sealed inside the chambers of shelly fossils. A rock can also have relatively low porosity but be very permeable if it contains large numbers of interconnected cracks. Cement growth tends to block up the gaps between the grains reducing the permeability. Pore spaces can be completely filled by cement resulting in a complete lithification of the sediment and a reduction of the porosity and permeability to zero. The in situ formation of new crystal structures while retaining the basic chemical composition is the process of recrystallisation. This is common in carbonates of biogenic origin because the mineral forms created by an organism, such as aragonite or high magnesium calcite, are not stable under diagenetic conditions and they recrystallise to form grains of low magnesium calcite. The recrystallised grains will commonly have the same external morphology as the original shell or skeletal material, but the internal microstructure may be lost in the process. Recrystallisation occurs in many molluscs, but does not occur under diagenetic conditions in groups such as crinoids, echinoids and most brachiopods, all of which have hard parts composed of low magnesium calcite. Recrystallisation of the siliceous hard parts of organisms such as sponges and radiolaria occurs because the original structures are in the form of amorphous opaline silica, which recystallises to microcrystalline quartz. The replacement of a grain by a different mineral occurs with grains of biogenic origin and also detrital mineral grains. For example, feldspars are common detrital grains and to varying degrees all types of feldspar undergo breakdown during diagenesis. The chemical reactions involve the formation of new clay minerals that may completely replace the volume of the original feldspar grain. 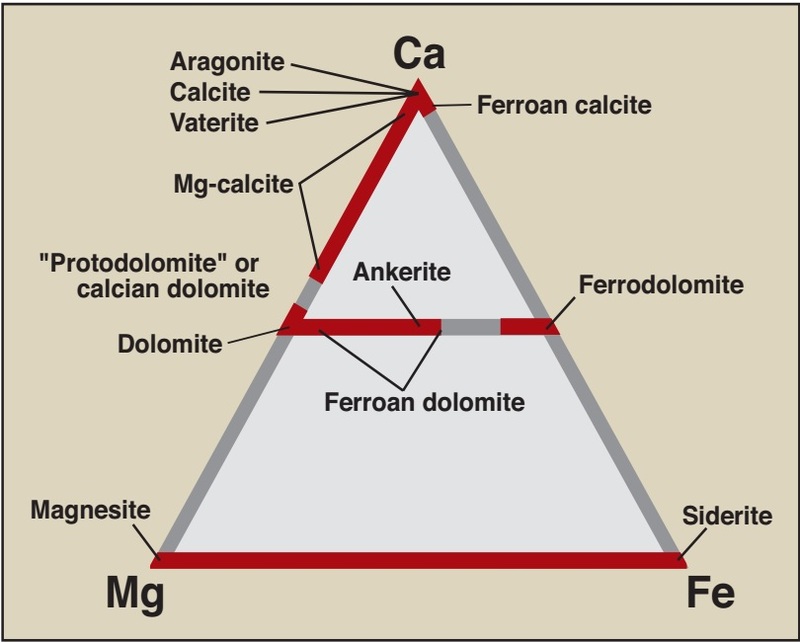 Feldspars rich in calcium are the most susceptible to alteration and replacement by clay minerals, whereas sodium-rich, and particularly potassium-rich, feldspars are more resistant. These reactions may take millions of years to complete. Silicification is a replacement process that occurs in carbonate rocks: differences between the mineralogy of a shelly fossil and the surrounding carbonate rock may allow the calcium carbonate of the fossil to be partly or completely replaced by silica if there are silica-rich pore waters present in the rock. Most sedimentary deposits are heterogeneous, with variations in the concentrations of different gain sizes and grain compositions occurring at all scales. The passage of pore waters through the sediment will be affected by variations in the porosity and permeability due to the distribution of clay particles that inhibit the flow. The presence of the remains of plants and animals creates localised concentrations of organic material that influence biochemical reactions within the sediment. These heterogeneities in the body mean that the processes that cause cementation are unevenly dispersed and hence some parts become cemented more quickly than others. Where the distinction between well-indurated patches of sediment and the surrounding body of material is very marked the cementation forms nodules and concretions. Irregular cemented patches are normally referred to as nodules and more symmetrical, round or discoid features are called concretions. Nodules and concretions can form in any sediment that is porous and permeable. They are commonly seen in sand beds (where large nodules are sometimes referred to as doggers), mudrock and limestone. Sometimes they may be seen to have nucleated around a specific feature, such as the body of a dead animal or plant debris, but in other cases there is no obvious reason for the localised cementation. Concretions formed at particular levels within a succession may coalesce to form bands of well-cemented rock. A variety of different minerals can be the cementing medium, including calcite, siderite, pyrite and silica. In places there is clear evidence that concretions in mudrocks form very soon after deposition: if the layering within the mudstones drapes around the concretion. This is evidence that the cementation occurred locally before the rock as a whole underwent compaction. The interiors of some carbonate concretions in mudstones display an array of cracks that are often filled with sparry calcite. These are known as septarian structures, and they are believed to form during the early stages of burial of the sediment. The precise mechanism of formation of the cracks is unclear, but is believed to be either the result of shrinkage (in a process similar to syneresis), or related to excess pore fluid pressure in the concretion during compaction, or a combination of the two. Chert can form directly from siliceous ooze deposited on the sea floor: these primary cherts occur in layers associated with other deep-water sediments. Chert may also form in concretions or nodules as a result of the concentration of silica during diagenesis. These secondary cherts are diagenetically formed and are common in sedimentary rocks, particularly limestones. They are generally in the form of nodules that are sometimes coalesced to form layers. The diagenetic origin to these cherts can be seen in replacement fabrics, where the structures of organisms that originally had carbonate hard parts can be seen within the chert nodules. The edges of a chert nodule may also cut across sedimentary layering. The nodules form by the very fine-scale dissolution of the original material and precipitation of silica, often allowing detailed original biogenic structures to be seen. The source of the silica is generally the remains of siliceous organisms deposited with the calcareous sediment. These organisms are sponges, diatoms and radiolarians that originally have silica in a hydrated, opaline form, and in shelf sediments sponge spicules are the most important sources of silica. The opaline silica is relatively soluble and it is transported through pore waters to places where it precipitates, usually around fossils, or burrows as microcrystalline or chalcedonic quartz in the form of a nodule. Flint is the specific name given to nodules of chert formed in the Cretaceous Chalk. The colour of a sedimentary rock can be very misleading when interpretation of the depositional environment is being attempted. It is very tempting to assume, for example, that all strongly reddened sandstone beds have been deposited in a strongly oxidising environment such as a desert. 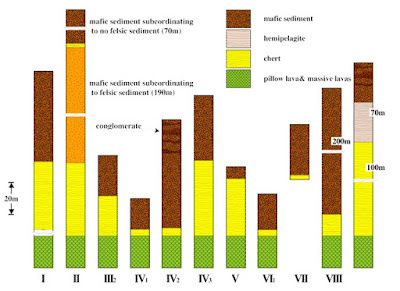 Although an arid continental setting will result in oxidation of iron oxides in the sediment, changes in the oxidation state of iron minerals, the main contributors to sediment colour, can occur during diagenesis. A body of sediment may be deposited in a reducing environment but if the pore waters passing through the rock long after deposition are oxidising then any iron minerals are likely to be altered to iron oxides. Conversely, reducing pore waters may change the colour of the sediment from red to green. Diagenetic colour changes are obvious where the boundaries between the areas of different colour are not related to primary bedding structures. In fine grained sediments reduction spots may form around particles of organic matter: the breakdown of the organic matter draws oxygen ions from the surrounding material and results in a localised reduction of oxides from a red or purple colour to grey or green. Bands of colour formed by concentrations of iron oxides in irregular layers within a rock are called liesegangen bands. The bands are millimetre-scale and can look very much like sedimentary laminae. They can be distinguished from primary structures as they cut across bedding planes or cross-strata and there is no grain-size variation between the layers of liesegangen bands. They form by precipitation of iron oxides out of pore waters. Other colour changes may result from the formation of minerals such as zeolites, which are much paler than the dark volcanic rocks within which they form.